2008 Elections: Year of the Fringe Candidate? Discussion in 'Politics & World News' started by sanjuro, Jan 27, 2008. I was thinking about this, is this the year of the fringe candidate? Like Huckabee, who would be a Pat Buchanan in years past; Obama, Jesse Jackson; or Clinton, who is the first serious female candidate? Is the American constituency mature enough for a non-WASP President? Or are people pissed off enough to vote in Anyone But Bush? Afraid to say the name of who the media considers the fringiest candidate, Sanjuro? Jesus Christ. It's not Ron Paul...it's Kucinich, and he's already packed up and gone home. Ron Paul at this point is like Terry Schiavo. His supporters see an internet poll and go, "Look, he moved. He made a sound! 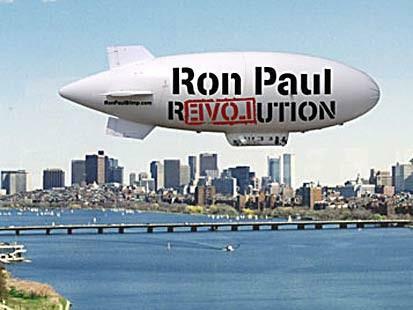 Ron Paul is alive!" He's dead. Dead, dead, dead, dead, dead. Actually, I had forgotten Paul. But while he seems like a good choice, he has not received any votes. What I find interesting is how candidates who are normally dismissed are now front-runners. Excuse me? He finished 2nd in Nevada and in Louisiana. Oh, and he got my vote. I voted early on Saturday. Do they sing at every campaign stop? Are lighters passed out and the house lights turned down low? HAHA. As dope smoking libertarians, we have our own lighters. A soft-spoken obstetrician who?s delivered more than 4,000 babies, Paul has managed to strike a chord both with little old ladies ? his ?Granny Warriors? ? and dope-smoking libertarians. When he ran for president in 1988, High Times magazine ran a cover story titled, ?Ron Paul: Pro-Pot Presidential candidate.? Just pointing out that he is getting votes. He might get more if the media would talk about him. Sadly, most folks don't know who Ron Paul is. It's disheartening since he has beat Giuliani in every primary to date and yet he gets a whole bunch more media time. Less than 6% of the delegates have been selected to date. I would call this race far from over. And in 5th in SC and NH. I wouldn't say he is shaking the American public. 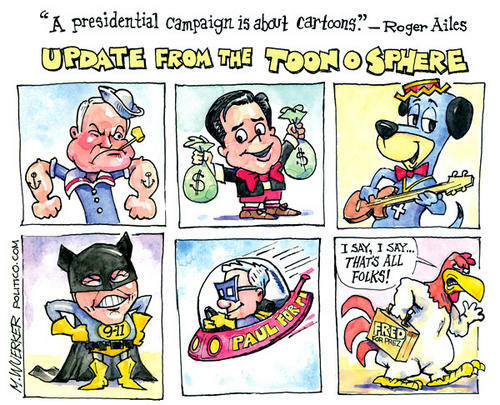 I am not arguing whether Paul is a viable candidate. I do hope he wins some primaries. It would support my discussion that fringe candidates are winning. And I wouldn't say that the American public is getting to hear about him. Most news excludes Paul. When he finishes well, they don't discuss that primary. But Giuliani gets talked about all the time, even though Paul has beaten him in every primary. It's not FAIR! MOM! The Mass Media isn't playing nice! I was just concerned that you were playing the same game when you left him out of a discussion about a topic that seemed right up his alley. Actually, you do have a point. But I was focused on candidates who have won primaries, and a religious nut, a black man, and a woman; are three people who would never have won 20 years ago. The thing is that the primaries are not like the elections in that the winners aren't the whole story. Not even close. In (most? all?) states when a candidate wins the presidential election they win all the electoral votes. But in a primary, the candidates are awarded delegates based upon the percentage of votes that they won. Let's take New Hampshire for example... where the media made a big deal about how Hillary beat Obama. Please review the actual results. While Clinton got 39% of the votes and Obama got only 37%, look at how many delegates they won... 9 each. It sure seems like a tie to me. Remember that talk when Romney had yet to win a major primary and how his campaign was finished? Well, at that time Romney had won more delegates than any other candidate. Just another way the media uses spin to lie to the people. These funkers are the folks we should listen to about who is viable? In looking at the NH results, I see that Giuliani beat Paul (although neither won a delegate) in that state. I thought he had beaten Paul... ONCE. I could not find evidence of that when responding to your post earlier. Just want to do my best to keep my statements accurate. It's hard to get accurate info on all of this. Look at this page of delegates awarded on CNN. If you look at Nevada you will see Paul listed after McCain suggesting a 3rd place finish for Paul, but when you click on Nevada you will see that Paul actually beat McCain by about 1000 votes. Of course, they each won 4 delegates so in all fairness, they really tied. Actually, I had forgotten Paul. As did the world at large. He's like Ross Perot without a funny voice or sh!tloads of money. WTF, they didn't have time to sketch Mitt and had to use a file photo?